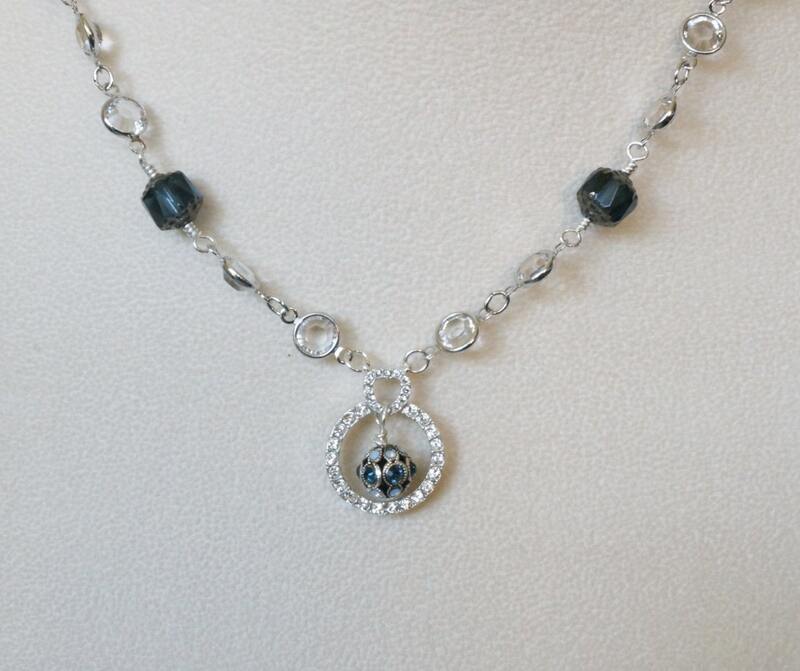 Here you have a Swarovski crystal chain necklace with Czech blue cathedral beads in between. 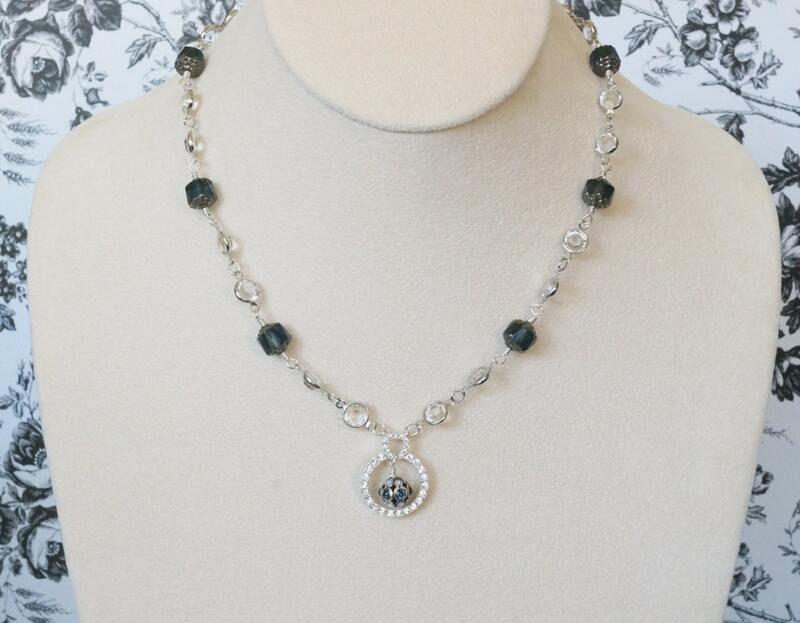 The heart and circle pendant is sterling silver with Swarovski crystals. Dangling from the pendant you have a very special German filigree bead that is encrusted with Swarovski crystals. Vintage looking. 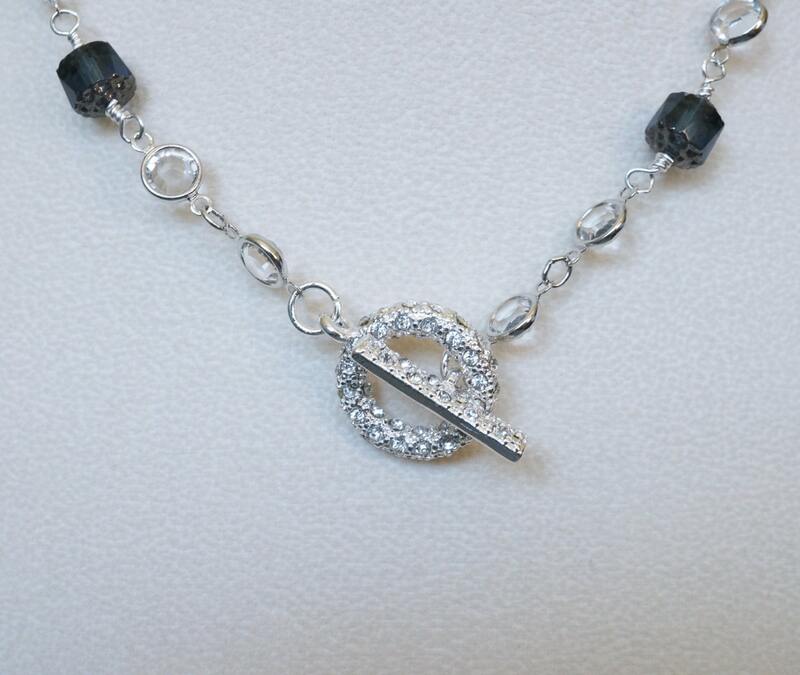 It all comes together with a silver plated Beadelle crystal pave toggle clasp. The necklace measures 17.5 inches. Please know that this necklace is a one of a kind piece. I do not repeat designs. You will be the only one to own it! Nobody else. That is what makes my jewelry so exclusive.